These amazing cookie dough brownies have an egg free layer of cookie dough and a rich chocolate glaze. 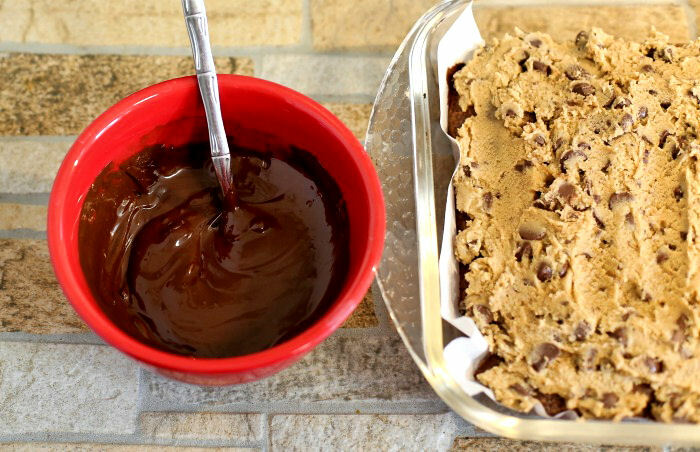 This recipe combines the best part of chocolate chip cookies and fudge brownies in one delicious bar. Who doesn’t love cookie dough? Kids have been lining up for generations to get a taste of it before it was made into cookies and baked in the oven. For another great chocolate dessert, try these skinny dark chocolate cupcakes. No guilt and so dark and rich! 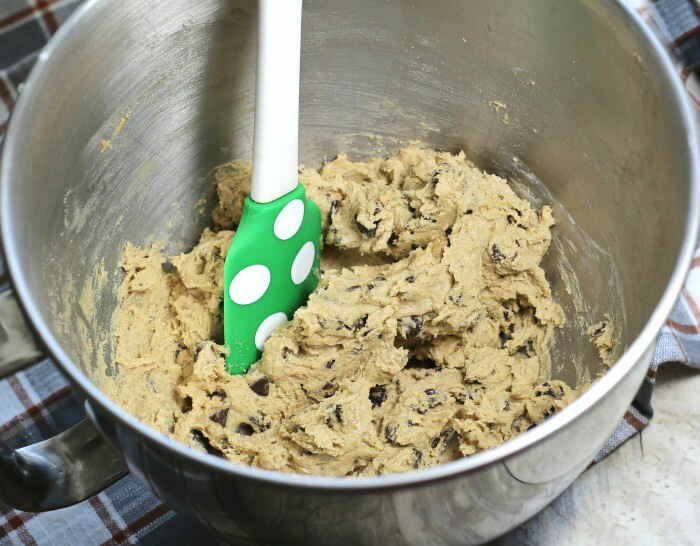 With new thoughts on the safety of unbaked cookie dough, it’s become less common for us to enjoy this delicious taste. But that all ends with these yummy cookie dough brownies. There are eggs in the chocolate fudge brownies, of course, but this is baked first. The filling layer made from cookie dough uses no eggs so it is perfectly safe to consume. 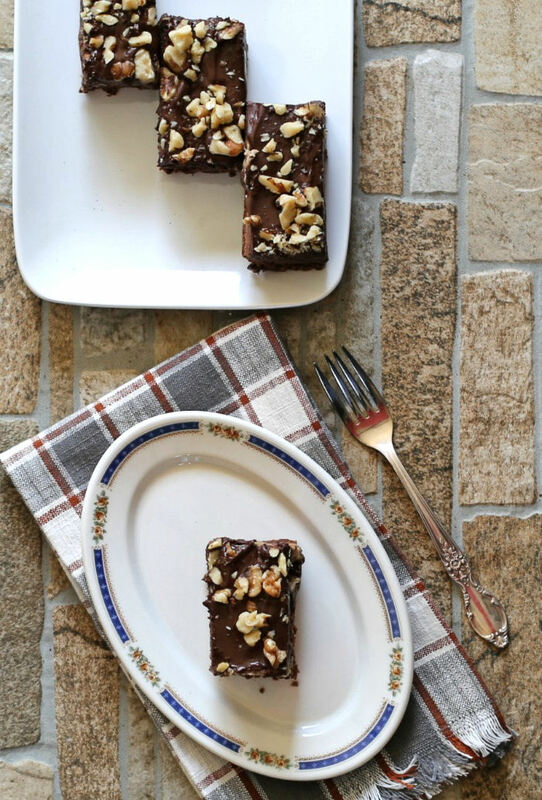 The combination is a total home run in the cooking department – rich and fudgy brownies with an amazing chocolate flavor, topped with edible cookie dough and finished off with a decadent chocolate glaze. Can we say YUM? The ingredients for the brownie base are those that you are likely to have in your pantry, which makes this recipe a no fuss, no “run to the store” type of recipe. 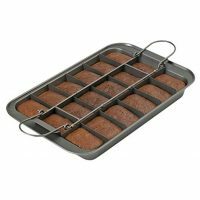 I have slimmed down this brownie recipe by using 1/2 unsweetened applesauce and 1/2 canola oil instead of a whole cup of oil. You’ll be amazed at how many calories you save! A half cup of canola oil has almost 964 calories and a half cup of applesauce has only 51. 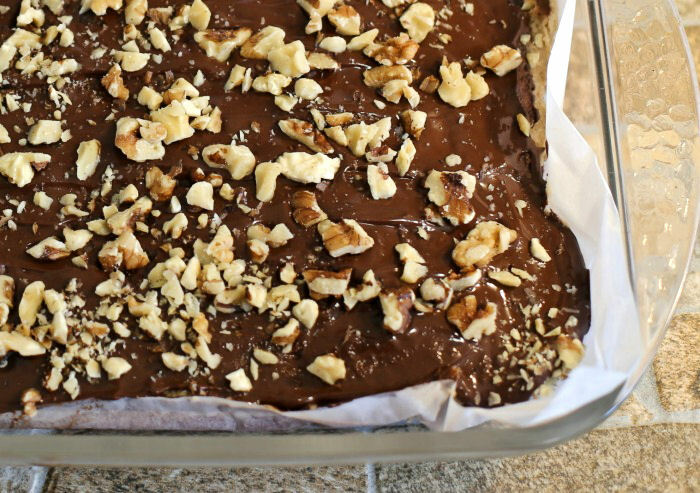 This saves 913 calories on the whole recipe and 25 calories on each brownie. Yes, those little food swaps do matter! 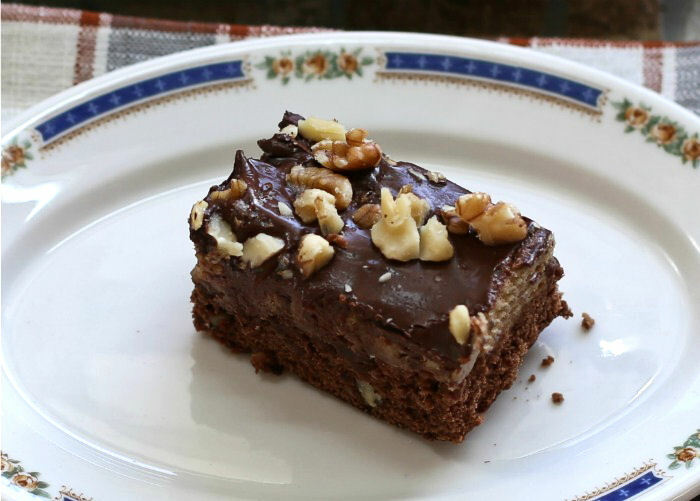 I sometimes use a brownie mix to make brownies when I am in a hurry, but this recipe is so special that I wanted to go the home made route today. The brownies are made in stages. We’ll start with the rich chocolate brownie base. Cream the wet ingredients and then whisk together the flour, sugar and sea salt in a separate bowl. Mix them all into one luscious looking batter and fold in the nuts. Ready to pour into the pan and bake! Ah…delicious cookie dough. That wonderful rich mixture that seems to find it into so many items (even ice cream!) will form the layer that sits on top of the rich chocolate brownie base. 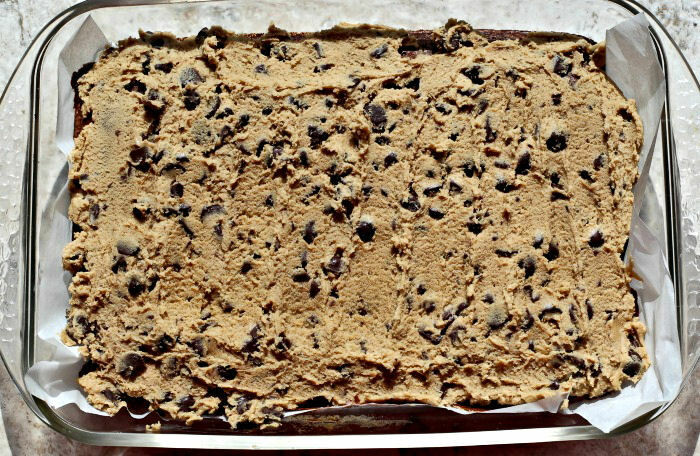 Normal raw cookie dough has eggs in it but for this recipe we’ll be using an eggless cookie dough recipe, since this layer won’t be baked. This tasty mixture is a combination of common pantry ingredients. It’s easy to make and adds such a special touch to some already special brownies. Tip: if you don’t have the mini chocolate chips, just loosely chop some normal ones. The reason for the mini chips here is to use less of them (for calorie reasons) but to still have them throughout each bite. Chopping will also do this. You’ll need a clean mixer now, so it is a good chance to clear away some other items to give you a tidy working space. I work so much better when I don’t have clutter around me. How about you? 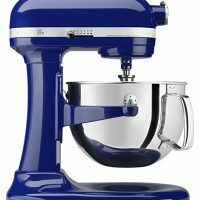 Start by creaming your sugars and butter in the mixer until they are light and fluffy. Milk and vanilla get added next and then the flour is gradually added. The mixture will be thick and yummy looking. But don’t stop there! This layer is a chocolate chip cookie dough mixture, so fold in those yummy babies! It is important to allow the chocolate brownie layer to cool completely. 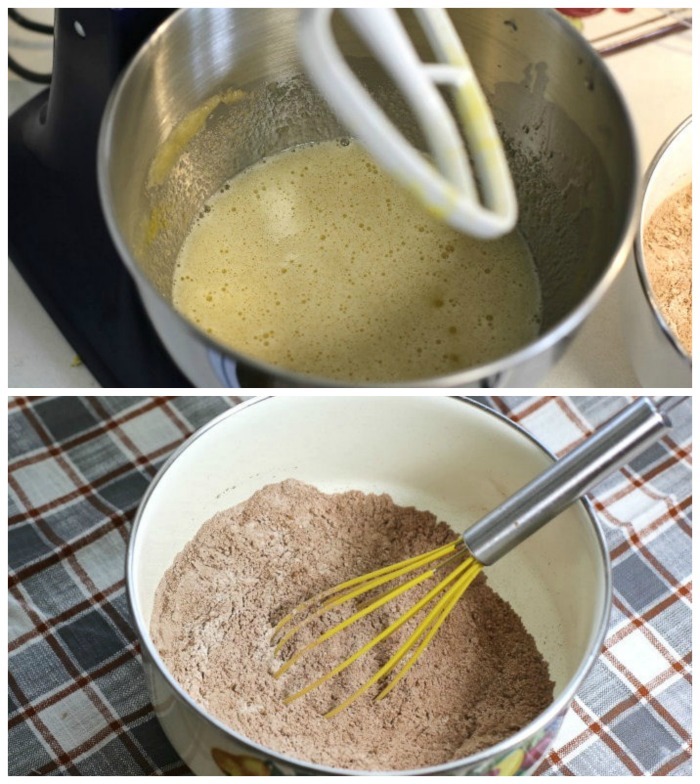 This mixture is very thick and will pull on the top of the brownies if you try to spread it too soon. 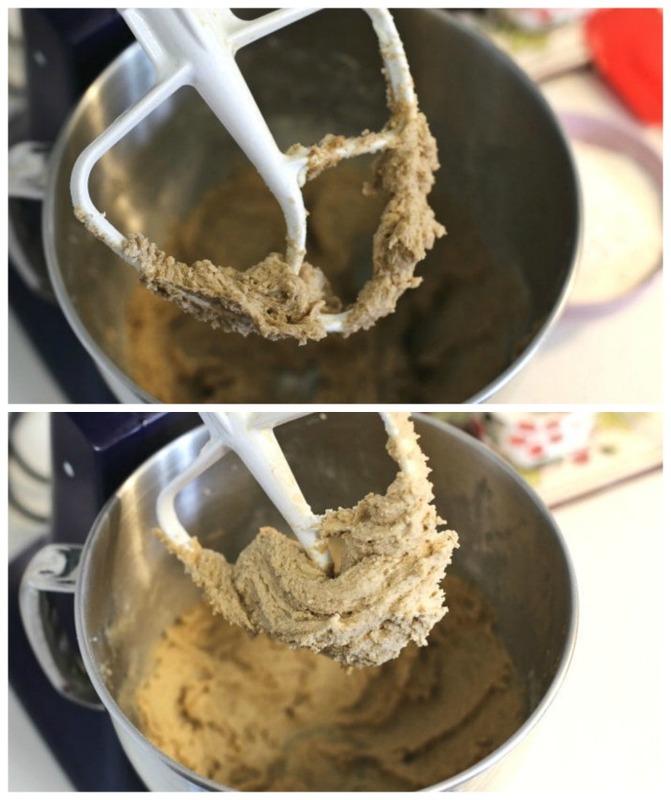 I can think of all sorts of ways to use this edible cookie dough in other recipes. Energy bites, here we come! And what a great mixture to serve with some vanilla wafers as an appetizer for a party. I predict that you’ll see new recipes in my future, folks. Look for them soon! Tip: Place the brownies in the freezer for a while to firm up. This always helps with any recipe that needs layers. Spread the cookie dough layer over the top of the cooled brownie base and chill until the topping is firm and well set. I found it easier to spread this thick topping by spooning it over first in small spoonfuls on the whole top and then using a cake knife to spread it. The rich chocolate glaze adds yet another layer to these yummy brownies. Not only does this give more flavor but the look of the cut brownies with three distinct layers of goodness makes a lovely presentation. I used chocolate chips, coconut oil and some chopped walnuts for this layer. Making the glaze could not be easier. Just combine the chocolate chips and coconut oil in the microwave until the chocolate is nice and melted. Stir it well and spread over the top of the cooled brownies. You’ll want to add the nuts quickly while the glaze is stiff soft. Press down on them slightly so they’ll stick well when you slice the brownies. Chill again and then cut into bars. 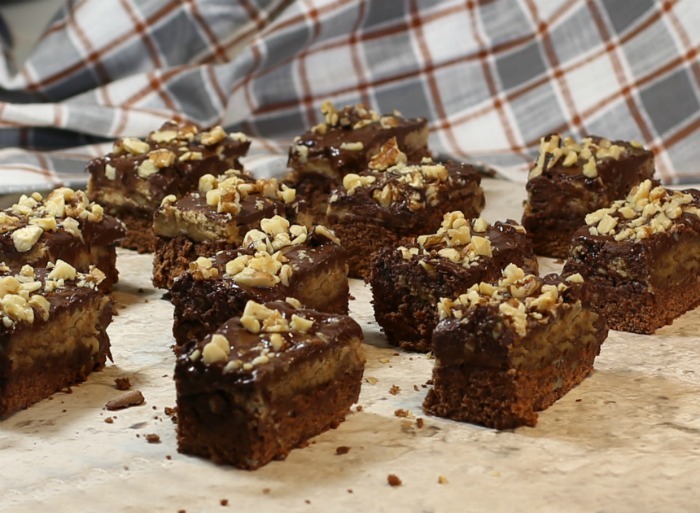 Every bite of these amazing layered brownies is a delight. 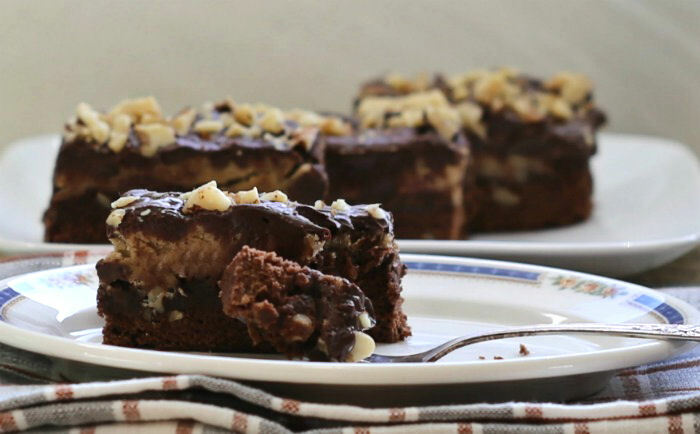 The fudgy brownie bottom gives a nice texture to the bite and the creamy filling is oh so good with its sweet and creamy taste. The dark chocolate glaze adds a rich finish to the taste that is just lovely. You might even want more than one! Good thing they are not too calorie heavy! These delicious chocolate brownies are the perfect item to take to any get together or pot luck dinner. Tip: If you take them to your next gathering, be sure to take along the recipe, as well. I guarantee that you will get asked for it! I’ve done my best to lighten up these brownies with a few substitutes and some portion control on the size. 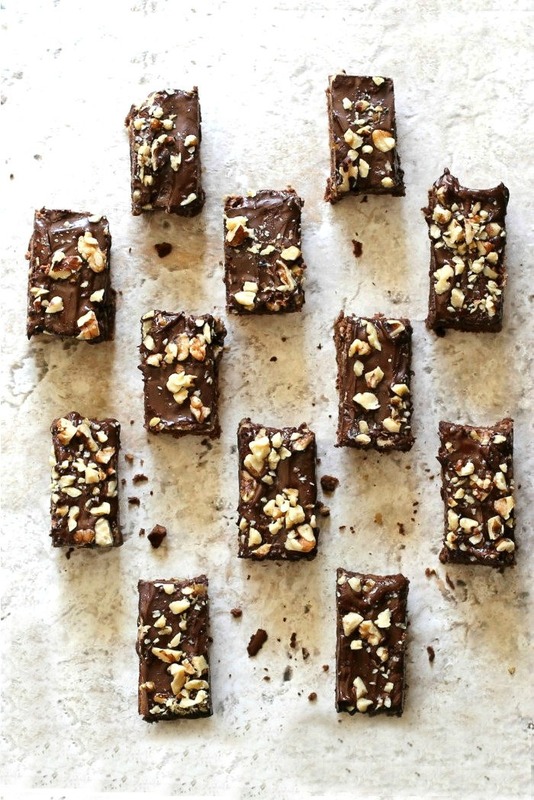 The recipe makes 36 brownies, each with 203 calories. These brownies are very thick, so cutting them into smaller sizes is not too much of a sacrifice. Just be sure they are really well set before you slice them. The calorie count is not too bad for such a rich tasting sweet treat and it will allow you to have a sweet treat, even when on a diet. Cooking on a stove top is forgiving, but baking is a science that requires precision. However, there are still a few things you can do to make your baking time easier while still giving great results. Assemble your ingredients ahead of time. Nothing is worse than thinking you have everything on hand, only to discover that you are missing one key ingredient. I don’t know about you, but I’d rather run to the store before I start baking than in the middle of the recipe! Line your pans with parchment paper. This handy paper provides a stick free bottom to the pan, and you won’t need to flour and grease it. When the baking is done, just overturn the dish, peel off the paper and you are ready to cut and frost. Clean as you go. Getting to the end of an afternoon of baking, only to discover that the kitchen is one heck of a mess can take the motivation out of any baker. Clean as you work through the recipe and you’ll end up with a clean kitchen and a happy baker. Invest in good quality bake ware. Your recipes will cook more evenly with less burned spots. Use room temperature ingredients. These will mix better and give better results. Weigh ingredients, or spoon and measure. 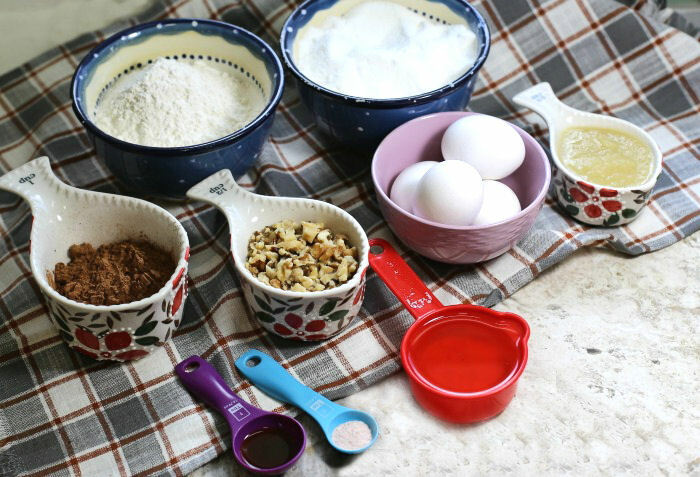 Dipping your measuring cup into the flour will give you much more flour than the recipe really wants, resulting in dense baked goods. Use fresh ingredients. Want to know how to ruin a pan of brownies? Add in some nuts that have gone rancid! Always use the freshest ingredients for the best tasting recipes. Substitute carefully. I always try to lighten up my ingredients but be sure to make substitutes with caution. Not all items work the same way in an oven. Always test first. 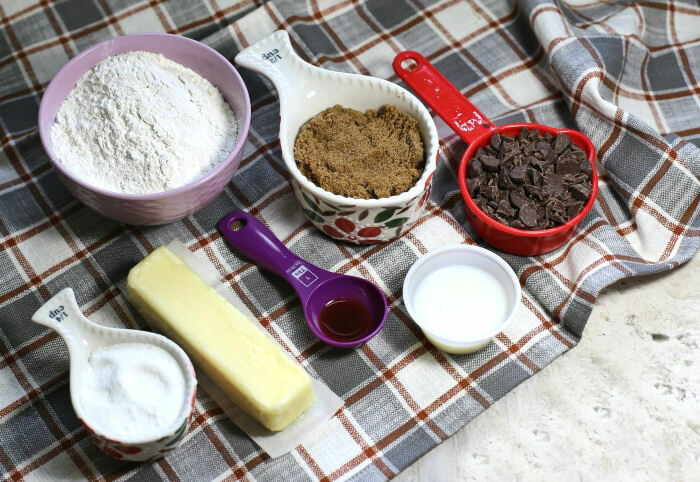 Would you like a reminder of this recipe for cookie dough brownies? Just pin this image to one of your dessert boards on Pinterest so that you can easily find it later. 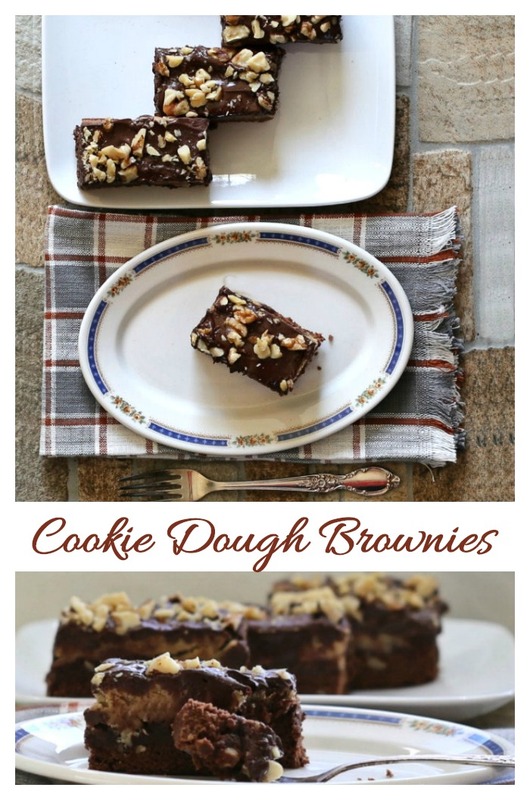 These cookie dough brownies have a rich, dark chocolate base and creamy egg free cookie dough filling. The glaze is deep and dark and oozing with flavor. In the bowl of a stand mixer, beat the eggs, oil, applesauce, sugar and vanilla until well blended. 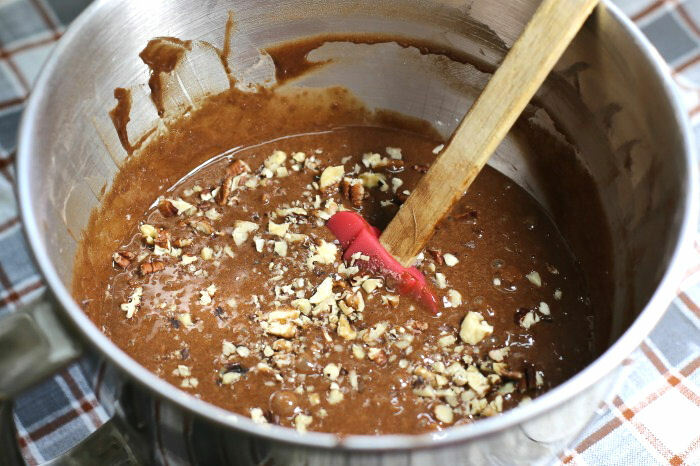 In a separate bowl, combine the flour, unsweetened cocoa and sea salt; gradually add this into the egg mixture. Stir in the chopped walnuts. Pour the mixture into a greased 13 x 9-in. baking pan. Bake 30 minutes or until a toothpick insert in center comes out clean. Cool completely. For the glaze, melt chocolate chips and coconut oil in the microwave,; stir until smooth. Spread this mixture over prepared brownies. While the glaze is still soft, sprinkle with nuts, pressing down slightly. Let stand until the glaze has set.